Gurmeet Sodhi (left) interviews author Dr. I.J. 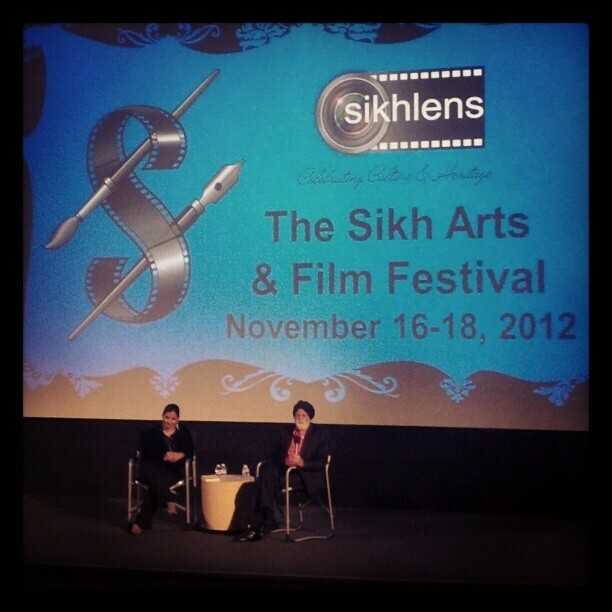 Singh (right) on stage at the SikhLens Sikh Arts and Film Festival two weeks ago. Two weeks ago, I attended the third annual SikhLens Sikh Arts and Film Festival in Orange, California (held during November 16 to 18). It was my first time attending this event, and I enjoyed the showcase of artistic talent presented. Newspapers India Journal and India-West provide thorough summations of the festivities from the opening night gala to the closing showcase concert and the scholarship projects behind the films (in collaboration with Chapman University’s Dodge College of Film and Media Arts), however I wanted to extend my own appreciation and congratulations to the organizers for what is truly a wonderful showcase of and for our community. As a member of the audience, I appreciated the films made by, for, and about Sikhs around the world, and the display of literary and musical talent as well. 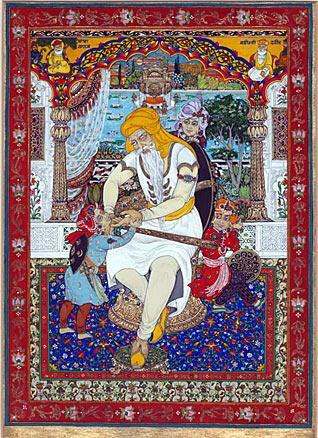 Sikh history is full of such artistic heritage (indeed, the Sikh scripture, the Guru Granth Sahib, itself is a work of literature and musical composition), however it is often under-recognized. It was inspirational to see the venues through which many Sikhs are expressing themselves in non-traditional careers and pursuits to represent our community and its issues. This event was personally memorable for a variety of reasons. Of course, I marveled at the performances and was touched by many of the films. Moreover, I can now say I made actor and designer Waris Ahluwalia laugh, and did same alongside centenarian marathon runner Sardar Fauja Singh. I had the opportunity to meet the artists known as the Singh Twins, whose painting “Maharaja Ranjit Singh and the Princes” I’ve had as a print for almost a decade. I also enjoyed the chance to listen to noted Sikh author Dr. I.J. Singh speak in person, whose essays I have been reading since the late nineties. And, finally, I was happy to acquainted and re-acquainted myself with many friends in the Sikh American community. The atmosphere at this event was very positive, collegial and welcoming, and I look forward to attending the festival again next year. Is there any way to watch the Films at the Festival online? Some films or their trailers are available on YouTube or Vimeo, however many films made their premieres at the festival and may not be accessible elsewhere. I would suggest that you check the SikhLens website schedule (http://www.sikhlens.com/festival-schedule.html) and do an internet search on some of the titles that you are interested to watch.